When a neighbor requested some mini pies, I scrambled online to find some mini pie pans. I finally found some at the Kitchen Collection outlet store in my neighborhood. Psssst ..... I've discovered a new pie crust. A fool proof pie crust that is so flaky and so good. I got so many comments on how flaky this crust is. The secret? Vodka. I do not drink alcohol and prefer to use alcohol free wines in my cooking. However, the creators of this recipe say that subbing alcohol for half of the water in this recipe contributes to the flakiness. When the oven heat hits the crust, the alcohol evaporates, creating pockets of air that are the hallmark of this crust. So, I donned a trench coat, hat, and sunglasses and went to the liquor store to purchase vodka. Well, at least I put on the sunglasses, even though I really wanted to be incognito. I nervously walked through the door and was visually bombarded by hundreds and probably thousands of bottles in front of me. How can I possibly find the vodka? A quick glance told me that all the wines were in front of me, laying on their sides. I scanned the liquor located on the back wall. I really, really, didn't want to ask anyone for assistance. Luckily, I found the clear bottles of vodka on the bottom shelf. Okay, which is the cheapest? I didn't care which brand. This was for baking, not drinking. I found a $3 bottle and quickly took it to the register. Luckily, I was next in line. The clerk didn't even bat an eyelash while ringing it up and put the bottle in a small brown paper bag. I mumbled a quick "Thanks" and hurried out into the parking lot. When I sat down in the car, I felt a huge sense of relief. "Now that wasn't so hard, was it?" I thought to myself. I was impressed by Duncan Hines Wilderness (Comstock) pie fillings that I used for a previous post. 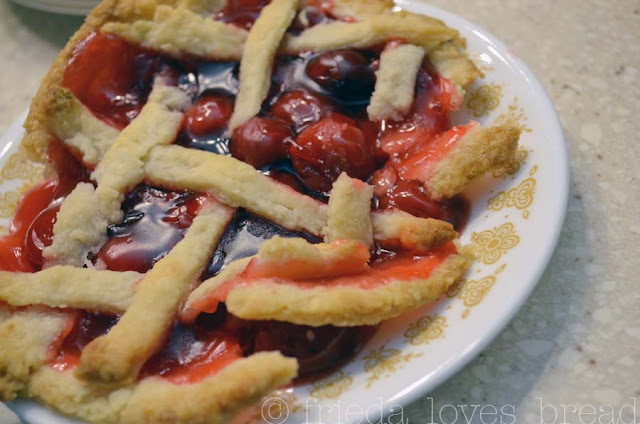 I found this cherry pie filling at Walmart to make these mini pies. One can easily made 4 of these pies. You can see that I need a little work on my lattice design. The pies easily came out of the non-stick pans but this one collapsed because I had not rolled the crust thick enough. Finding the mini pie pans, buying the vodka, and using a canned pie filling was worth it. 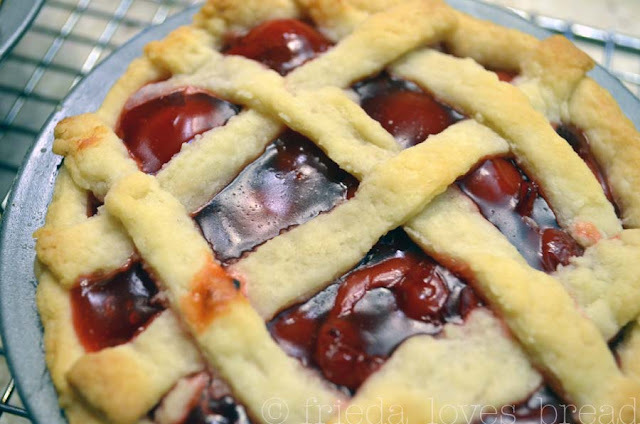 My family even ate the "scrambled" cherry pie. 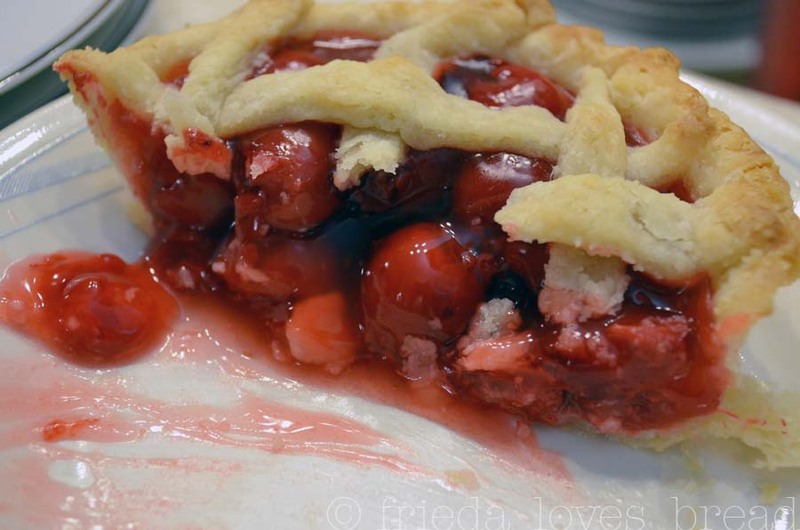 In honor of George Washington's birthday today, no cherry trees were harmed in the making of these pies. Mini pies are the perfect treat for President's day. I've been meaning to try the AKI pie crust recipe. I love this post! Those pies are so cute and look delicious. Oh that looks SO good; especially to someone who has not had any breakfast. 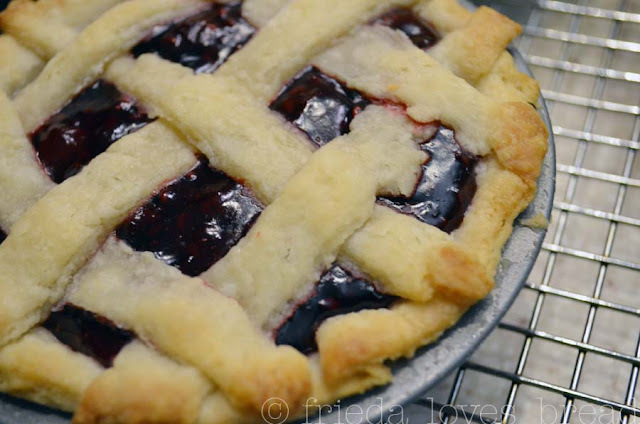 I think the reason the crust is so flaky is that the alcohol adds liquid without developing the gluten in the flour, so you can mix the crust without making it tough. Love this piecrust, Have made it twice already. I love it too! I've made it several times and get raves about it.